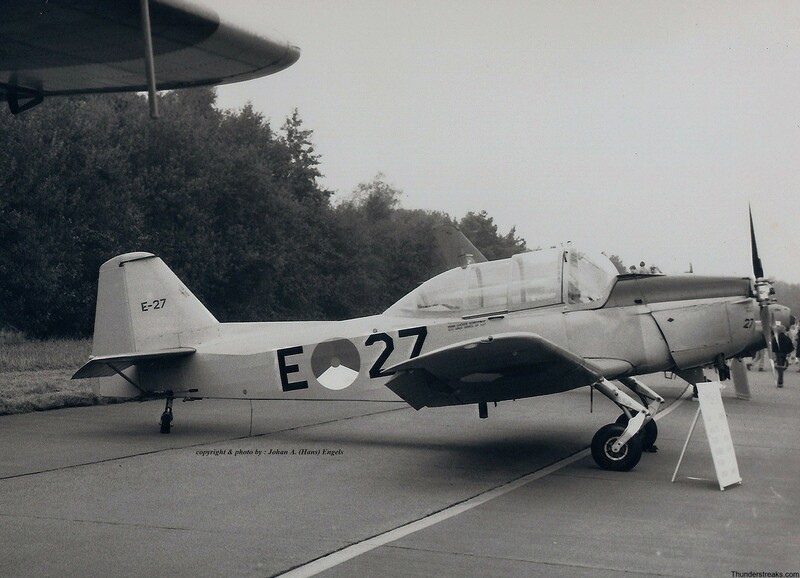 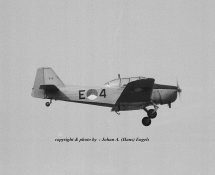 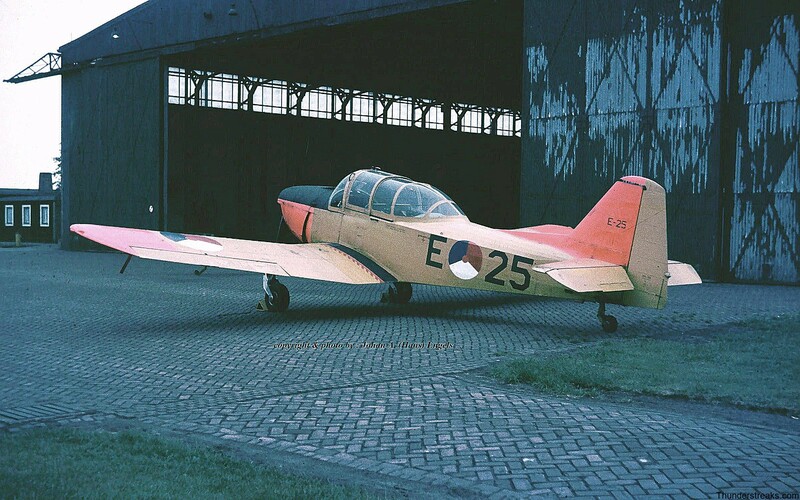 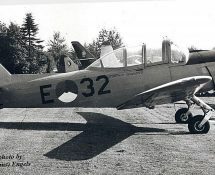 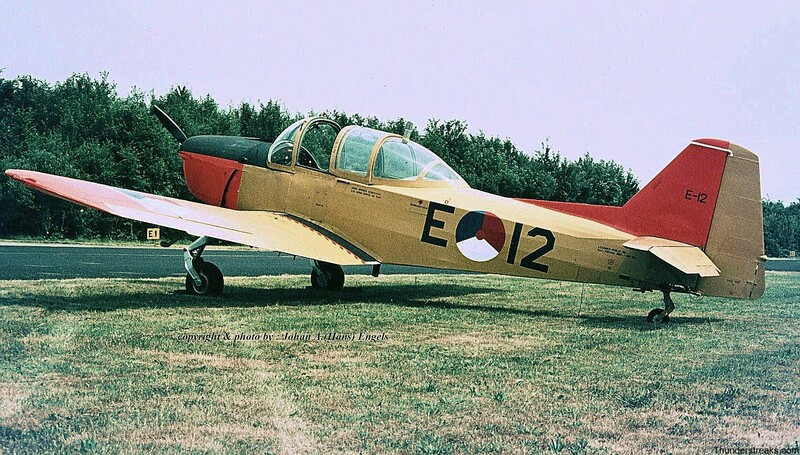 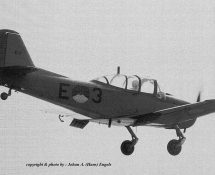 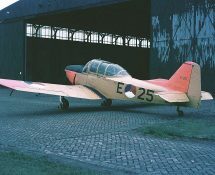 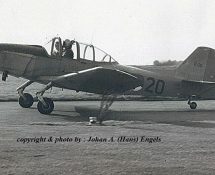 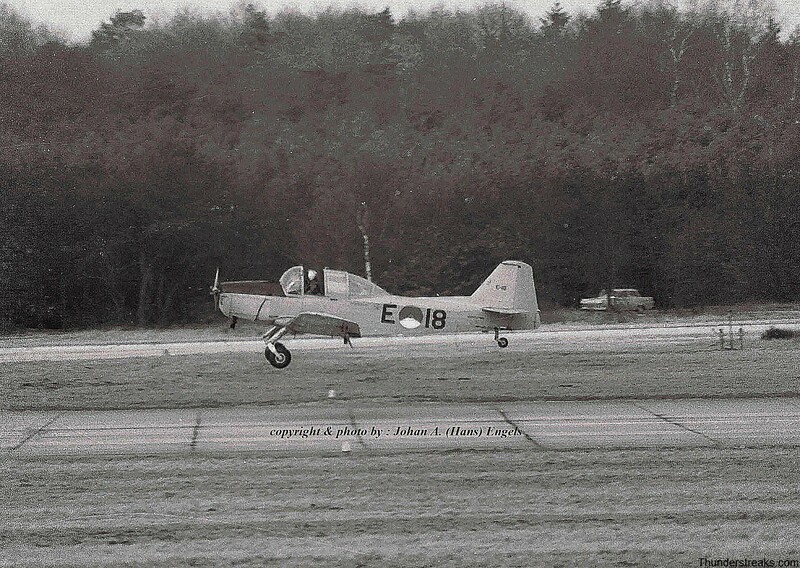 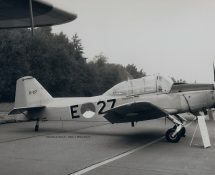 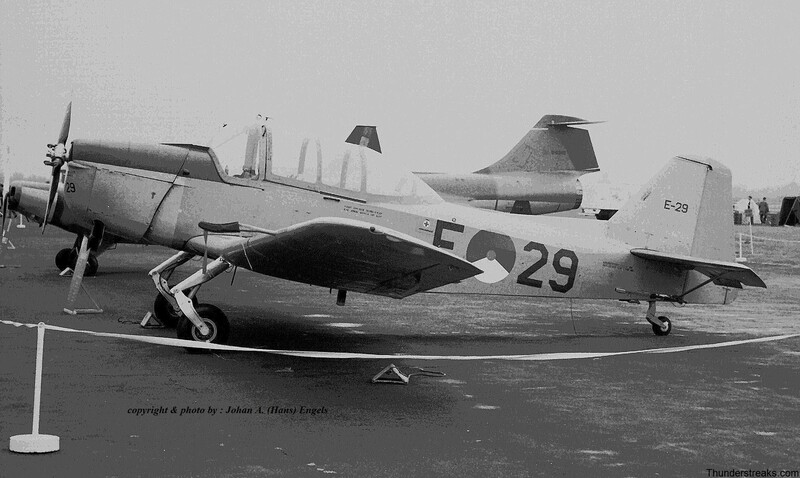 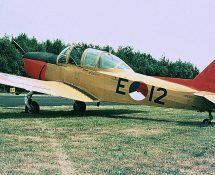 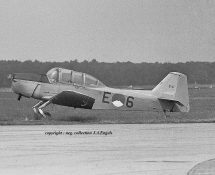 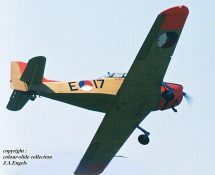 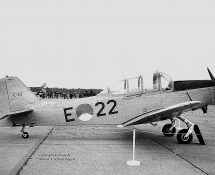 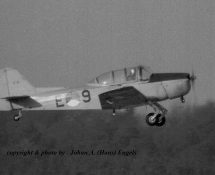 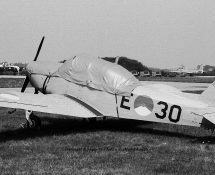 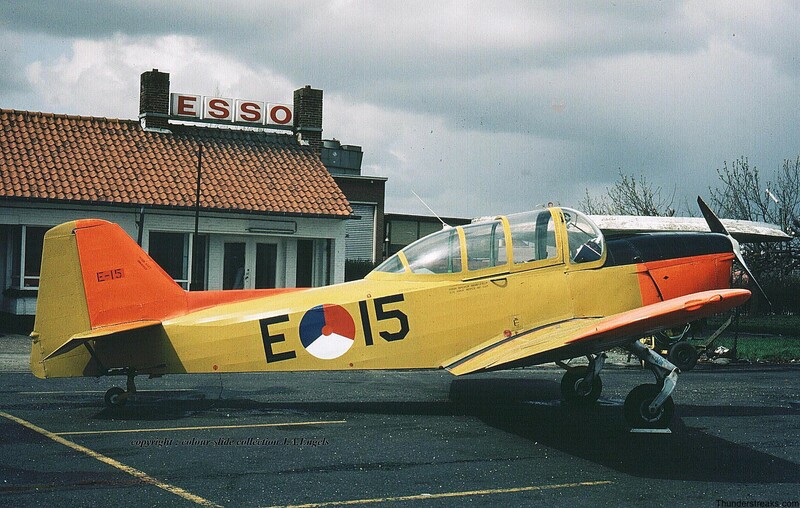 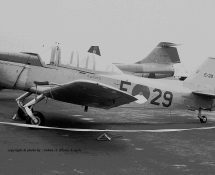 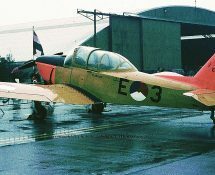 Besides the successful Fokker F-27 Friendship the post-war Dutch Fokker Aircraft Industry built – amongst other types – an elementary trainer for military use., the Fokker S-11 Instructor . 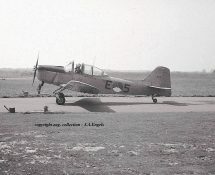 The S-11 was also sold abroad in small numbers and license building was undertaken in Israel , Brazil and Italy. 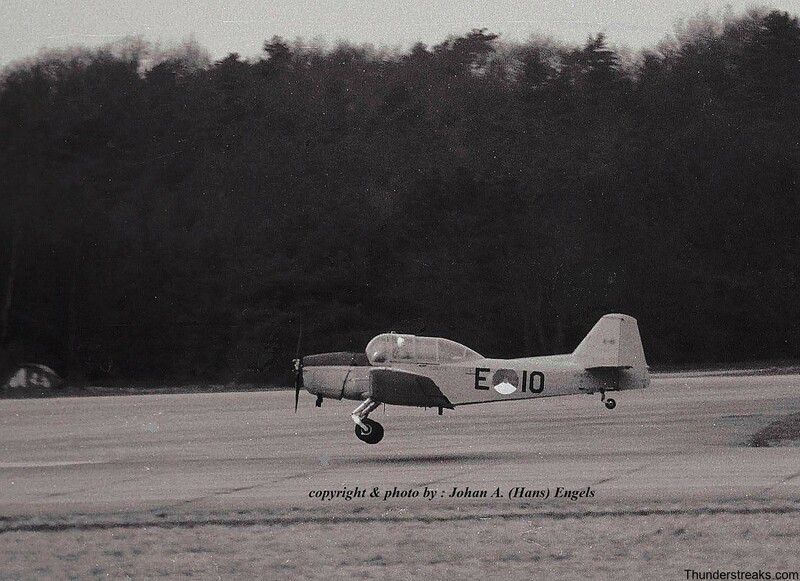 In the beginning of the Fifties the K.Lu. 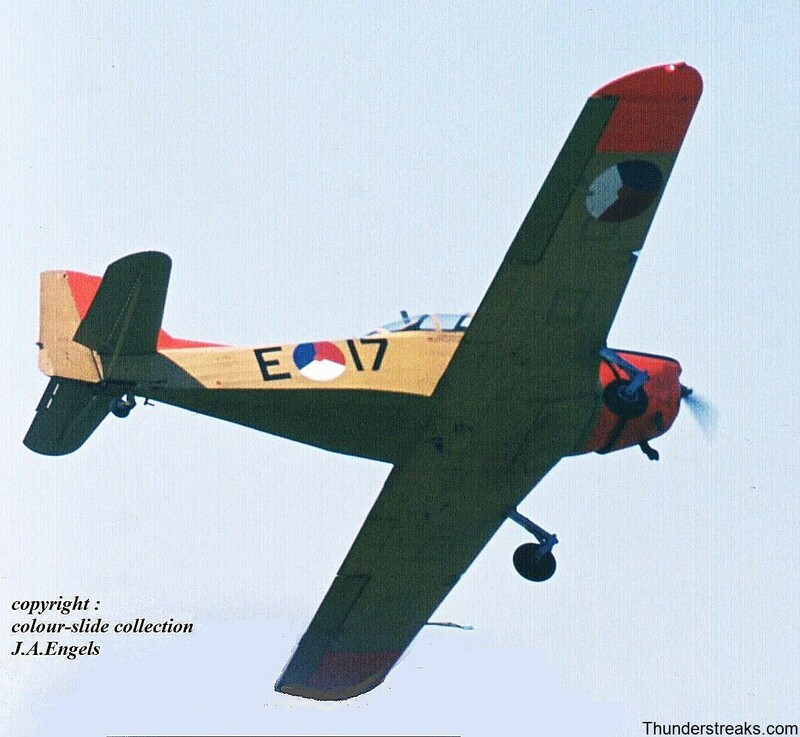 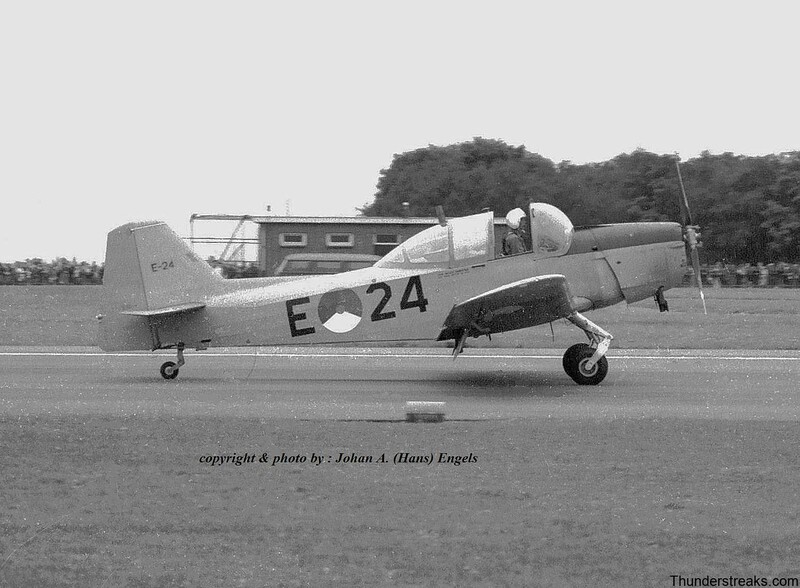 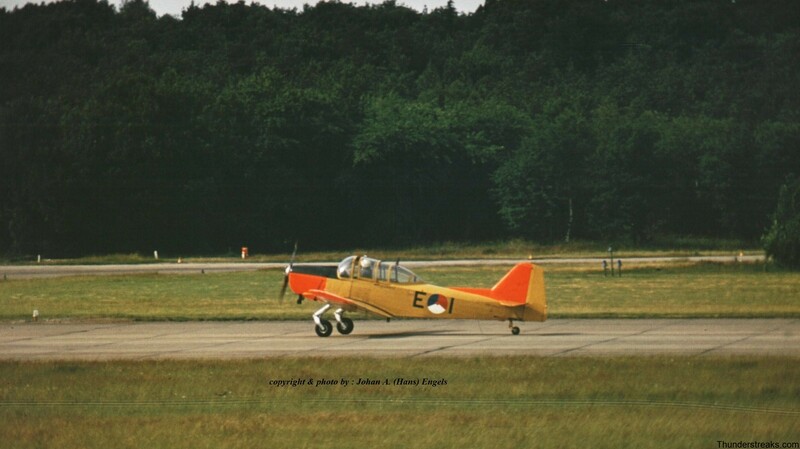 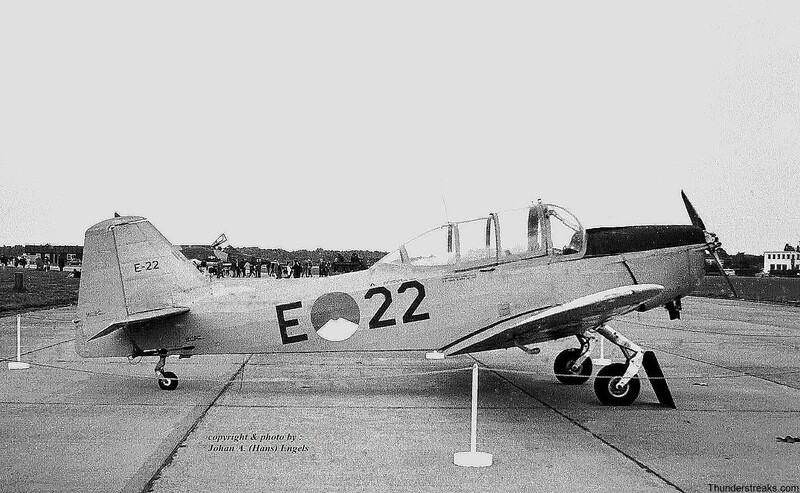 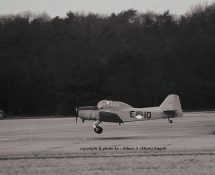 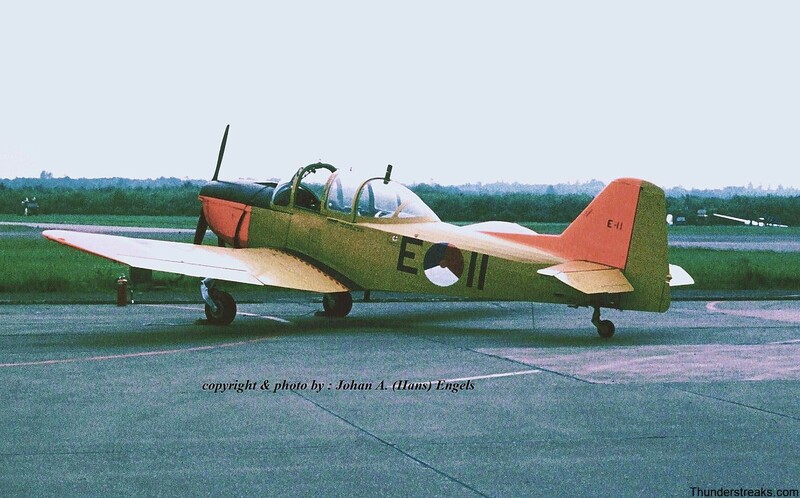 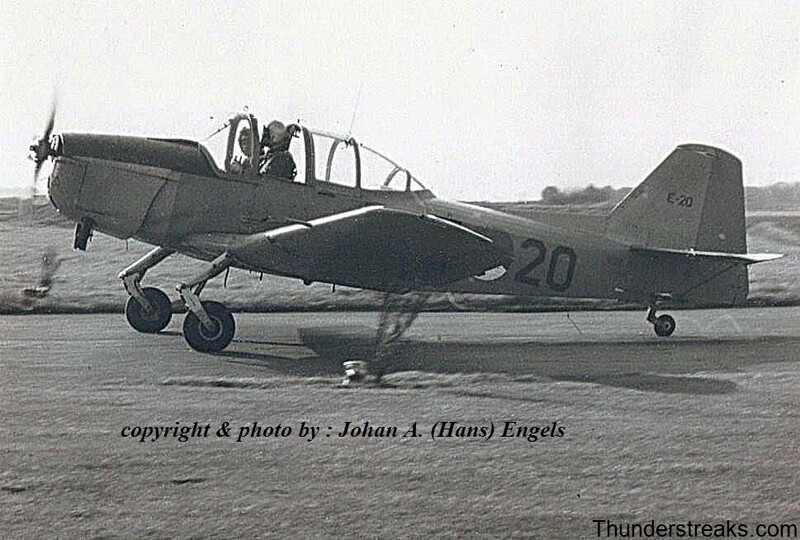 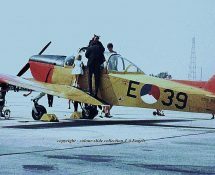 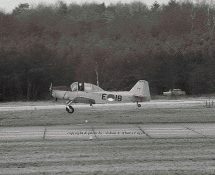 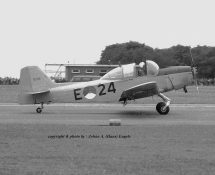 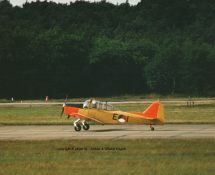 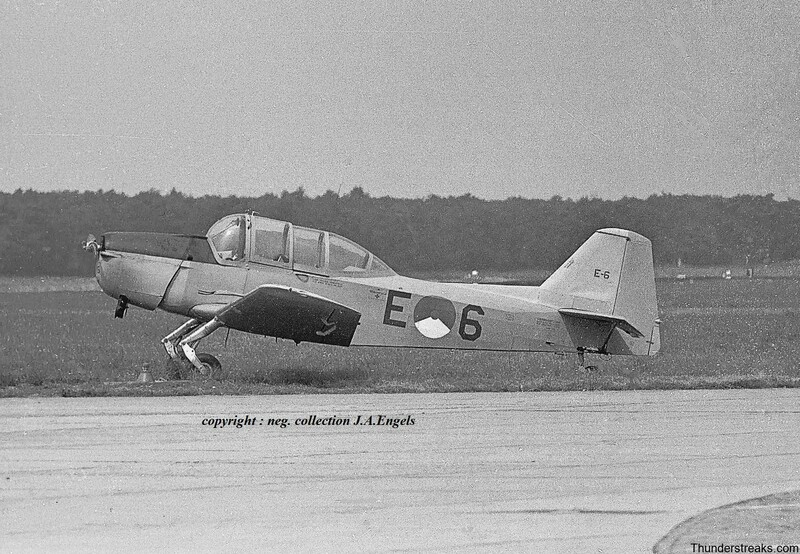 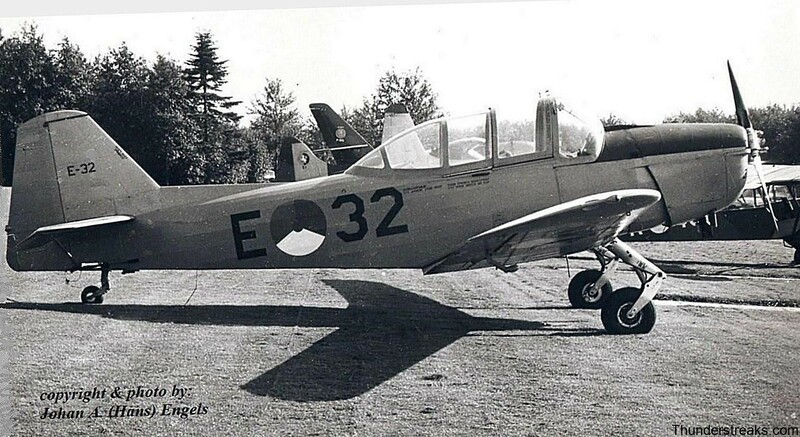 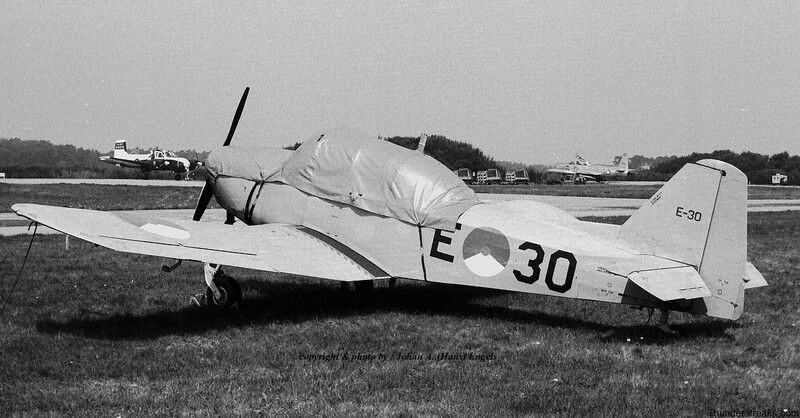 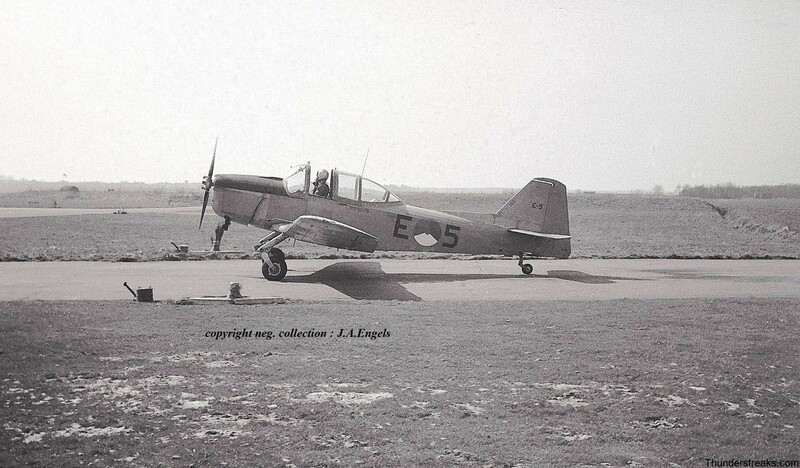 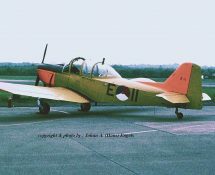 (Royal Netherlands Air Force ) was searching for a successor of the Tiger Moth and thus accquired some 40 S-11´s. 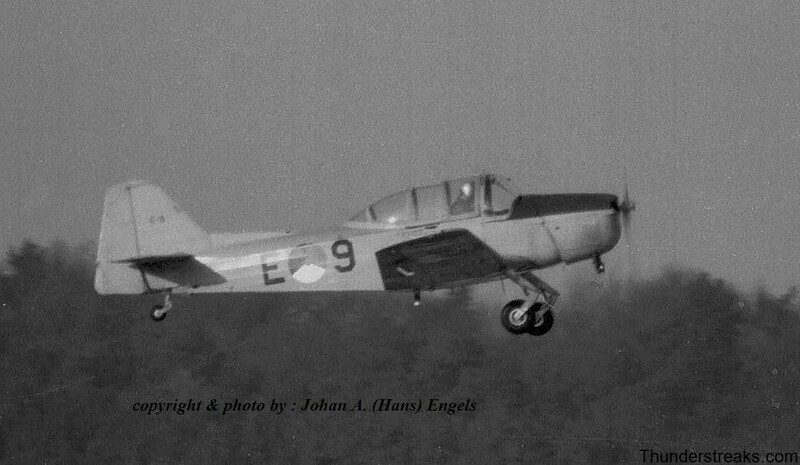 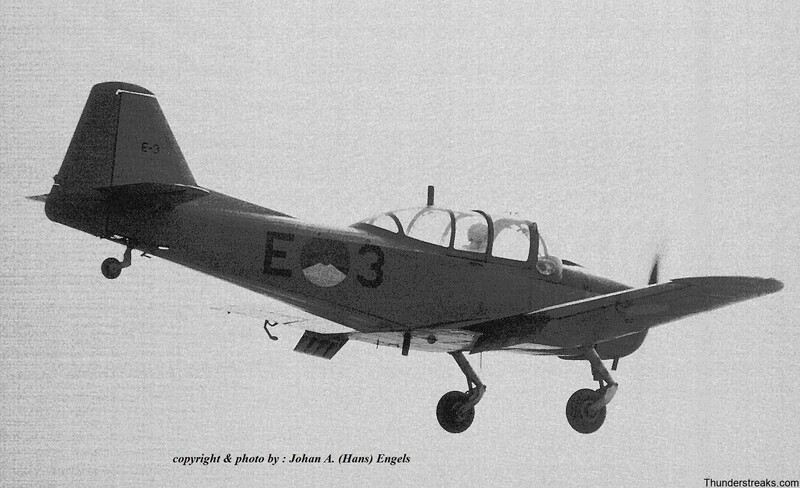 Later on also the Dutch naval air service (MLD) made use of some ex.-Klu examples. 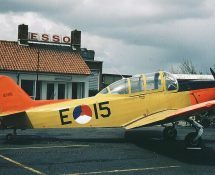 For many years the Fokker S-11 was a common sight in the skies over the Netherlands and although already phased out by the KLu more than forty years ago , some of these yellow painted birds can still be seen in the air nowadays , since the Fokker Four formation display team is operating them , seventy years after the type made its first flight !